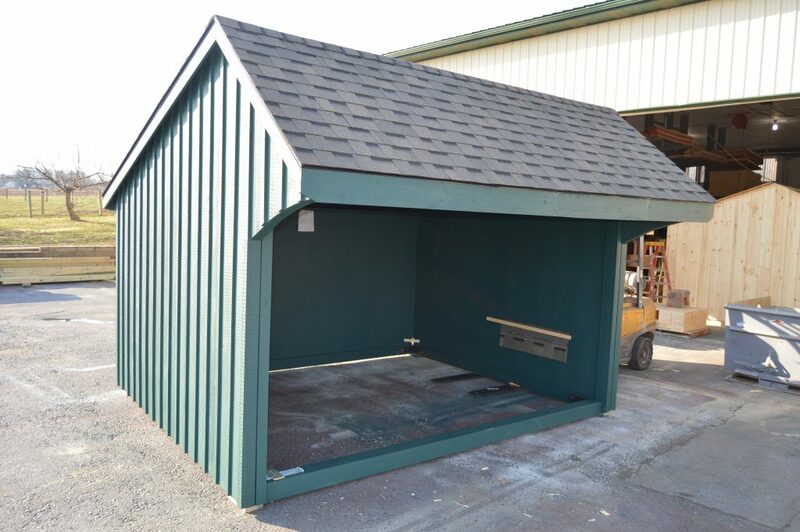 This is a custom 11′-6″x14′ run-in with 36″ overhang. 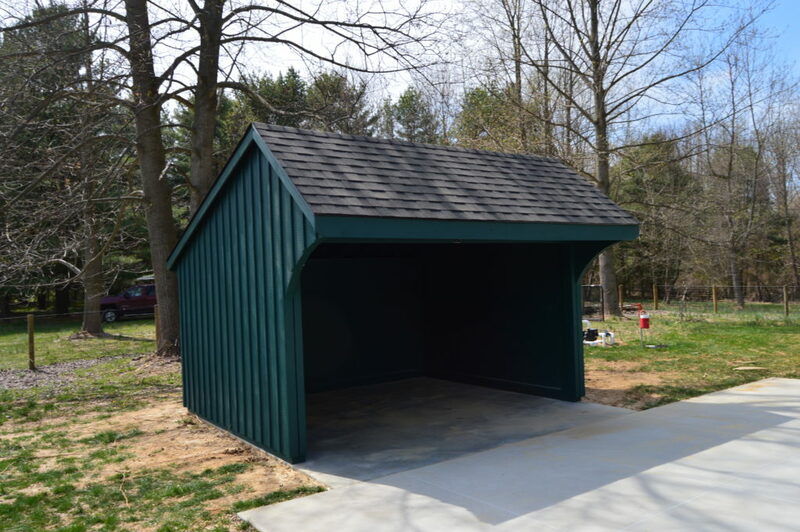 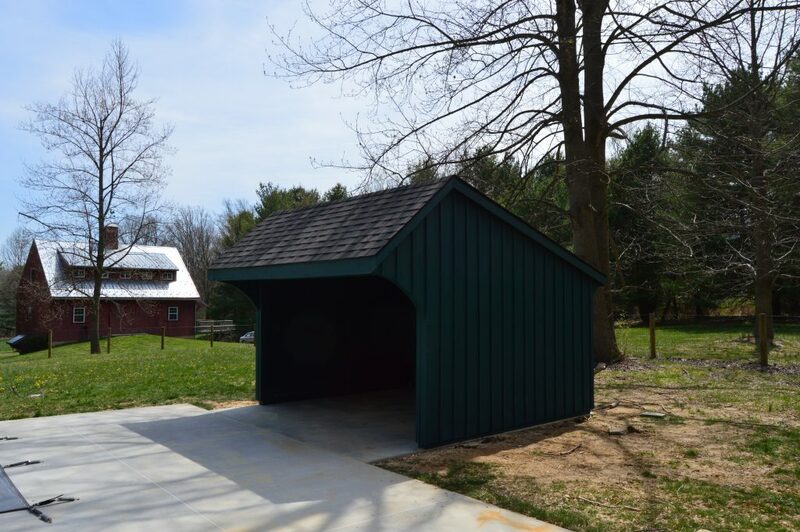 This Kennett Square, PA run-in was built with white pine board and batten siding painted with green paint by Haley Paint Company. It has quaker style rafters and architectural shingle roof with GAF Timberline HD (Color Weathered Wood) shingles. 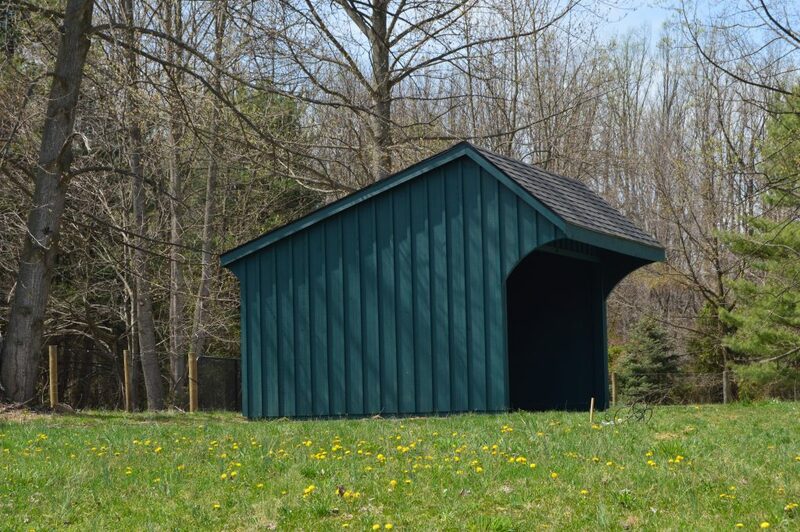 This run-in barn has a 36″ overhang with curved ends for for a stylish look. The walls on the interior are covered with plywood and painted green.